The best possible way to get your name out there through social media is through Facebook ads. Facebook has millions of users per day and has huge amounts of data for them. Facebook has perfected the way of advertising to a mass group of people at once. Targeted advertising is the perfect way to start because it ensures that whoever sees your ad is more likely to buy into your product or service. On a previous post we talked about How to Make Social Media Work for You. This elaborates a little more by focusing on Facebook and how companies are using it for the younger crowd. When I’m scrolling through my timeline at record speed, the only thing that will stop me is an amazing picture. That’s the first thing that catches my eye. Then I look a little higher and see the text. But the first thing that I notice is the picture. Especially if it is a well thought out one. Choosing the right picture for your ad is as essential as writing the right text for it. The picture is what is going to stop people from scrolling through your ad without even looking at it. There are some brief guidelines that you must follow from Facebook because they like to keep things uniform. For example, your image cannot be more than 20% text. The ads don’t do as well and it makes for a very mixed view of the Facebook page. People will recognize a stock photo from a mile away so try to stay away from those. Something bright and familiar will catch people’s attention. Try to tie it back to your company by including a funny caption. Animals are always great because they appeal to people’s emotions. Do some research to see which one generates the most responses. Headlines are the next thing that people will see. Some people actually pay more attention to the headline than the actual picture. Certain keywords will stand out to people. A huge example would be the word “FREE” or “DOWNLOAD”. Choosing a headline that grabs attention can help your ad generate more traction. It mostly depends on the kind of ad you want to run. If it is informative, then choose a good keyword that perfectly represents your company. Other ads tell meaningful stories that help bring a human side to the company. You don’t want to confuse people with technical language. Start with a story that will bring out your core values and mission statement to get them interested. People are more trusting if they see that their beliefs align with yours. How many ads do you come across that offer discount codes or promotions for a limited time. Our newsfeed is flooded with them! You know why? Because they work! Who doesn’t love a good discount or promotion. Promotions could be the last push people need to buy your product or service. You can offer seasonal discounts that correlate with holidays to create hype. Use promo codes to get people to fill out the leads forms. You can then use that information later to send them marketing material to try and turn them into a potential customer. Call to actions are the last thing on your ad but they are definitely the most important. This is what is going to get readers to take action after they see your ad. Facebook offers many different call to action buttons (sign up, download, learn more, visit). Choose one from the menu depending on what you want your ad to accomplish. If you want to drive traffic to your website, then use the Visit or Learn More button. If you want them to fill out a form to get a copy of a free guide or ebook then have a Sign up or Download button. Call to actions are what get people moving. They generate action, hence the name. This is what is going to determine whether or not your ad is successful. 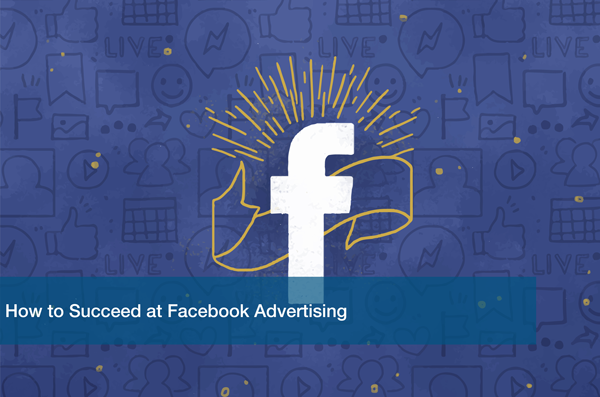 The best way to dive into Facebook ads is to create a simple one and see where it goes. Your first one might not be as successful but you’ll never understand your audience until you put yourself out there. Here at ITC we help our customers by solving all their IT challenges every day. What’s the point of having good ads if you don’t have an amazing website to match? ITC can help create the perfect logo and website for your company to drive more sales and generate traction for your business. Schedule a Free IT Analysis today and we can start discussing a game plan to get your business to the next level.